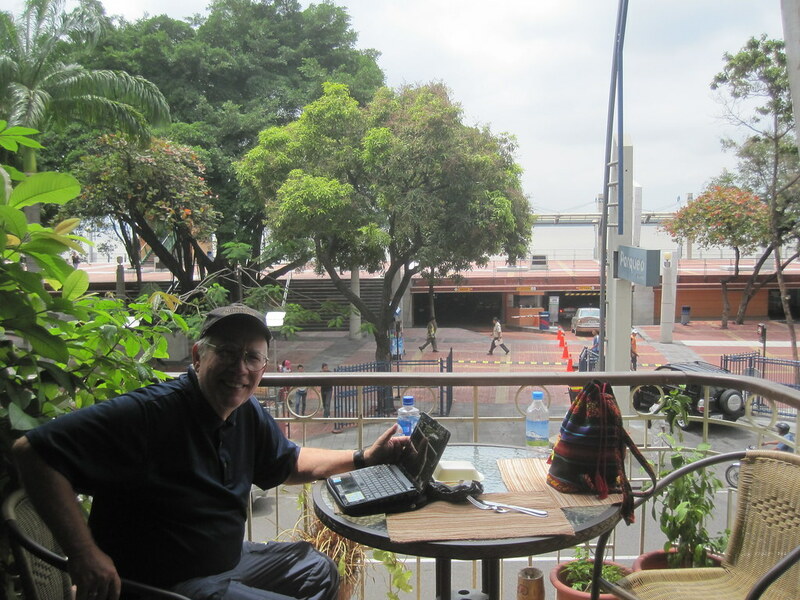 I was working on my blog when another American staying at the hostel came up and we started to chat. I asked her to take my picture and she did. I liked that balcony. It had a great view. Behind me is Malecon 2000 and the Guay River. We are only a few miles from the Pacific. Guayaquil is a major port. I spent a lot of hours on that balcony. It was pretty interesting. There were always people going by.